We’ve previously covered Lord Phillips’ Alexander lecture in April, on the Human Rights Act 1998, s 3 and the development of statutory interpretation. (And readers may also be interested to note that abolishing the 1998 Act was pledge 3 of his 10 key pledges for readers of The Sun). But with the forming of the new Lib-Con coalition at Westminister there is now some debate about the future of the Human Rights Act. However, even before the election there was more subtlety in the Conservative position than might have been apparent. Dominic Grieve, speaking then as the shadow Attorney General suggested that the Conservatives’ HRA-replacing Bill of Rights: “would also provide us with an opportunity to engage in a national debate as to what aspects of our legal and constitutional framework constitute core values in the area of civil liberties that could merit better protection than the Human Rights Act itself currently affords.” Furthermore, in April he spoke about “Human Rights Act plus” at The Times/Matrix debate on whether the 1998 Act should be replaced by a Bill of Rights. However, there are signs that any changes to the status quo might be kicked into the long grass. New Justice Secretary Ken Clarke has already said that Bill of Rights “not a high priority” and at the Liberal Democrat special conference in Birmingham on 16 May, where the Party resoundingly endorsed the coalition arrangement, new minister of state in the Justice Department, Lord McNally, pledged to resign if the Human Rights Act was repealed. Nick Clegg, the Lib Dem deputy prime minister, has said that any Government would tamper with the HRA “at its peril”. Adam Wagner, over at the UK Human Rights Blog, notes that the coalition Government is to announce a “commission” to look into the 1998 Act. 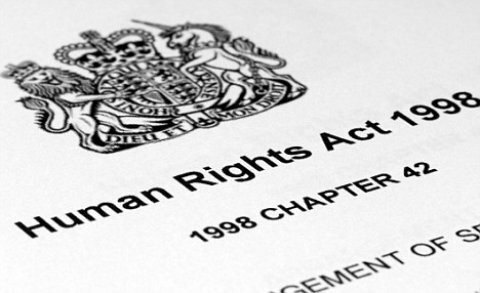 This is to be part of a series of civil liberties reforms announced by the Government, and Wagner outlines several possible outcomes of the review, suggesting “Human Rights Act plus” as the most likely. He defines this, as attempts to “recalibrate the rights and responsibilities set out in the current Act”. Update: Home Secretary Theresa May has confirmed that the coalition Government is reconsidering the Conservative manifesto pledge to scrap the 1998 Act. Leave a reply on "The future of human rights protection in the UK [updated II]"